After two months of painstaking trial and error, tweaking and perfecting, Robbie Bornais is ready to release the Walkerville Brewery Chorizo to the public. Robbie’s Gourmet Sausage Co. and Walkerville Brewery have partnered up for this limited edition sausage, made with Walkerville Brewery’s Black Lager. What makes it so special is that the Walkerville Black is down to its last few drops, so once the sausages are all gone, there won’t be any more of the beer to make a new batch for 2014. “I knew I wanted to do something with Walkerville Brewery, specifically with Chris Ryan, because of the positive atmosphere he provides, but more importantly, because of his reputation as an approachable and generally caring business person,” ” Robbie says. Robbie mentions that he tried to profile and target Chris’ likes and dislikes and was able to come up with a very original take on chorizo. What Can You Expect From The Sausage? Locally raised Berkshire pork from Wagner Orchards is the core ingredient of the sausage. Robbie then reduces a large amount of Walkerville Black with a rich German chocolate and a balsamic vinegar from Modena, Italy. He then adds fire roasted poblanos, fresh garlic, roasted cumin and several secret herbs and spices to get a very original, decadent sausage like no other. The Walkerville Brewery Chorizo is part of the Sausage N’ Beer promotion that both Robbie’s and Walkerville Brewery are putting on during the month of March. 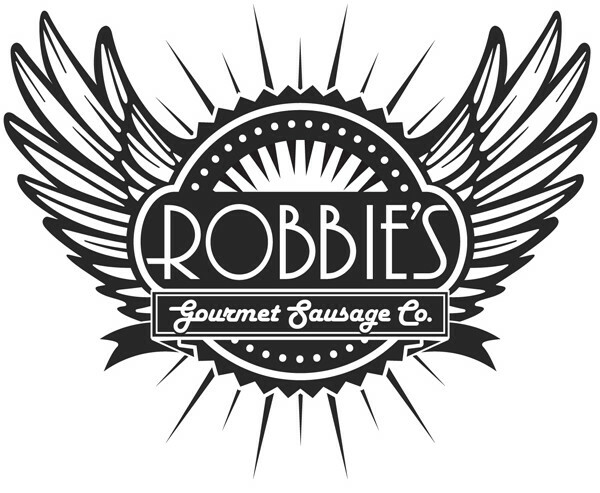 Each Friday from 4:00pm to 7:00pm, patrons to Walkerville Brewery can order one of Robbie Gourmet Sausage Co.’s creations. The special sausages for this week, March 7, 2014, will be the Walkerville Brewery Chorizo, Bacon Double Cheeseburger and the Coronado.